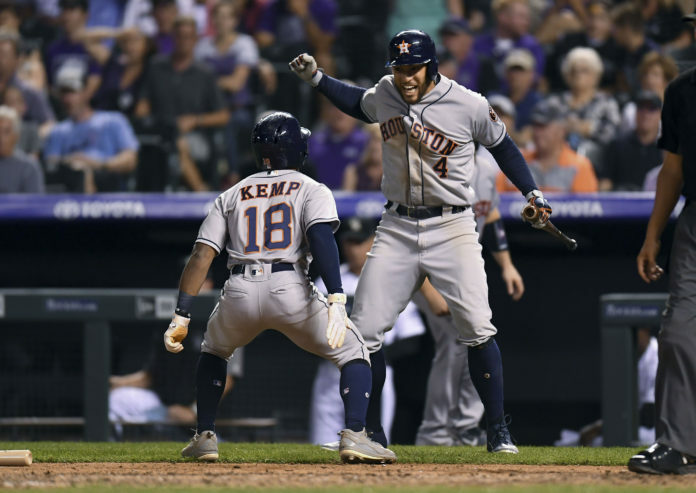 The Colorado Rockies lost to the defending champion Houston Astros Tuesday night in extra innings, 8-2. 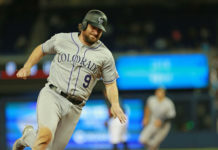 The defending champions struck first as they scored two runs off of Rockies’ starting pitcher Tyler Anderson in the first inning. George Springer reached base safely to open the game following a throwing error committed by Rockies’ All-Star shortstop Trevor Story. From there, Alex Bregman took Anderson deep to left field, blasting a two-run home run to make the score 2-0. Outside of the mishaps in the first inning, Anderson buckled down throughout his start. Anderson has struggled all season in first innings’ as he owns an ERA over seven in the first frame. Anderson’s ERA in the second inning is a dominant figure of 0.93. with the his next highest ERA in a single inning being the fourth, which sits at 4.00. Astros’ starting pitcher Gerrit Cole managed to keep Colorado’s offense in check for a majority of his time on the mound as his first six innings were scoreless. The Rockies were able to break through in the seventh inning which started with a double from Nolan Arenado hit to deep center field. Carlos Gonzalez then followed with a double of his own to center field which scored Arenado and put the Rockies on the scoreboard. After a Trevor Story line out, outfielder Gerardo Parra hit a single to right field, which scored Gonzalez to tie the game at a pair of runs apiece. The Rockies had a golden opportunity in the bottom of the eighth inning to take the lead when they had two runners on base, one of which was in scoring position, and Arenado at the plate. Arenado quickly fell behind 0-2 and eventually, hit a weak fly ball in foul territory for the third out of the inning to end Colorado’s rally. Both teams were unable to plate the go-ahead run within nine innings which sent the game to extra innings where the Astros quickly busted the game open. Josh Reddick started the 10th inning by hitting a single to center field that Charlie Blackmon mishandled, allowing Reddick to advance to third base. Tony Kemp later hit an RBI-single to center field, scoring Reddick to push Houston ahead, 3-2. After that, the Astros proceeded to pile on the runs, starting with RBI triple hit by Kyle Tucker that scored a pair to extend the Astros’ lead to 5-2. George Springer then followed with a two-run home run to left field. Yuli Gurriel put the icing on the cake by poking a single up the middle to score another Astros’ run, making the score 8-2. The Rockies were unable to generate any runs in the bottom of the 10th as they ultimately fell to the defending champs. The Rockies and Astros will continue their series Wednesday night from Coors Field with first pitch set for 6:40 MST.